I offer you Lynderella Cauldron Drippings for today’s post. 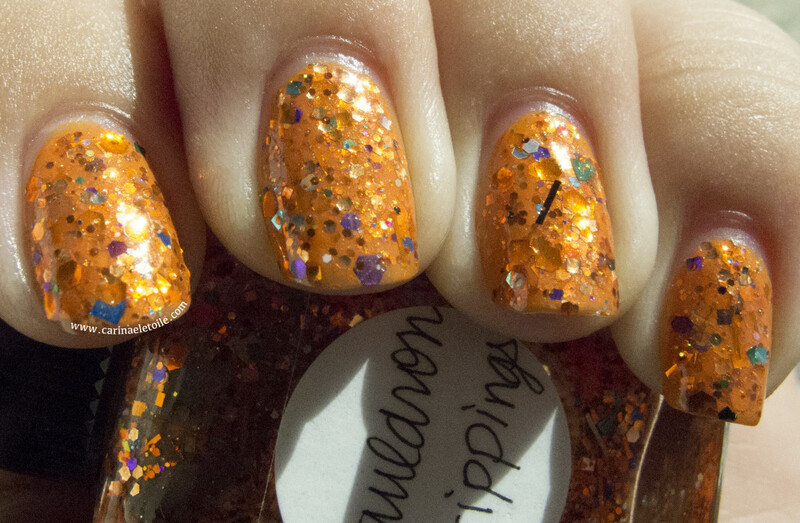 Lynnderella Cauldron Drippings was released in Fall 2011, part of her collection for the holidays. Long before Lynn had her meltdown (frankly, I don’t blame her…but more on that later), she had — still has! — a devoted following of women who would do whatever they could to obtain every single bottle she released. I was exceptionally lucky to obtain this directly from Lynnderella through a fellow nail polish girlfriend – I had always missed out when Lynn would tweet when her shop was open. Much love to Miss Jackie D for helping me obtain my first Lynns last year! 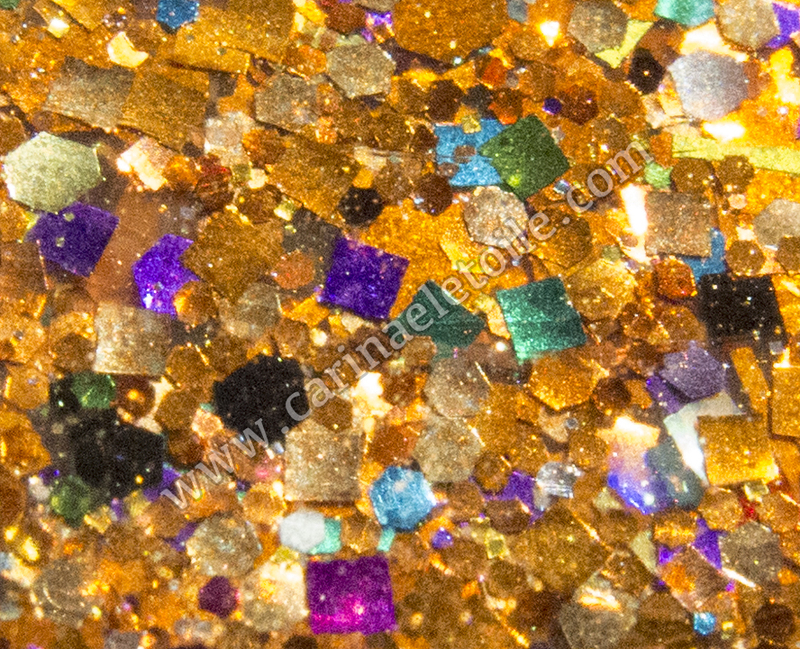 While I am not a fan of glitter nail polish, something about Lynnderella’s polishes make me clamor for more. My two all time favorites of hers, Nosegay and Gotta Love Brains, are gorgeous purple glitters that aren’t as in your face as Lynnderella Cauldron Drippings. The photos below are two coats. They dried quickly – woo hoo! As always, right click the image and open it in a new window…then left click the image in the new window and presto! Full size image for your viewing pleasure. 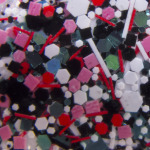 Check out this macro shot of Lynnderella Cauldron Drippings – if I had a better camera, I think you would see this far more clearly. Looks mellow in this shot, doesn’t it? Looks lovely and rich, doesn’t it? The sun didn’t quite hit this right and you can’t see the glittering goodness of Cauldron Drippings. However, it’s still gorgeous! 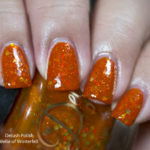 If you haven’t had a chance to try any Lynnderella polishes, I strongly suggest you give her a try – they are fabulous and a mega glitter bomb. One last thing – regarding her “meltdown” earlier this year…she was so hurt and upset that people were purchasing her polish and re-selling them at such high prices….and that people were actually purchasing them at those prices. 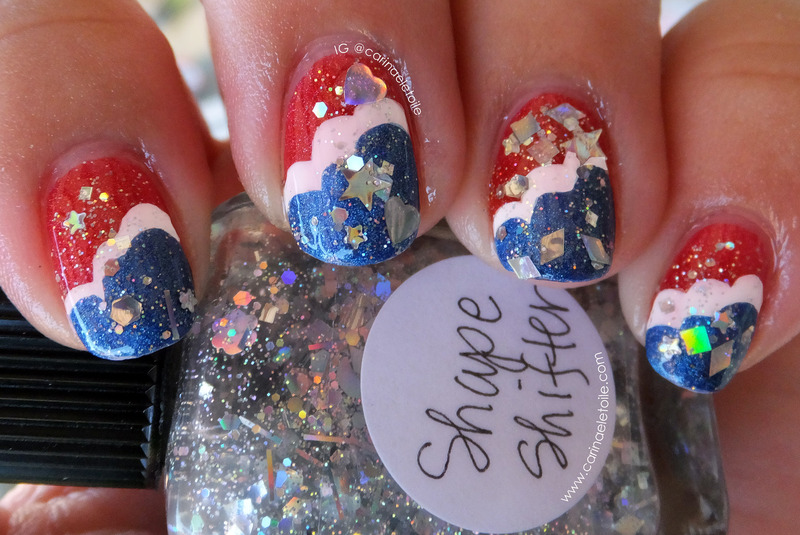 I always felt that what she does, she does out of love for polish and glitter. I don’t think she was in for it for the money. While it’s taken me a while to get over something like that (I used to be a jewelry designer and I’ve had people re-sell my work for a higher price. I’ve also had people steal my wax molds and try to pass my work off as theirs, too! ), it took her a while, too. She tried another channel, then people started getting upset because the quantities she released were so small they felt they didn’t have a chance. I was of the thought that if I couldn’t get Lynnerella anymore, it wasn’t meant to be and I wished her no ill will. She had her meltdown…and then reappeared on eBay. I’m glad she’s back and on her terms this time. I’m just happy I have a shot at her stuff, even if I do get outbid. It’s just nice knowing I’ve got a chance! 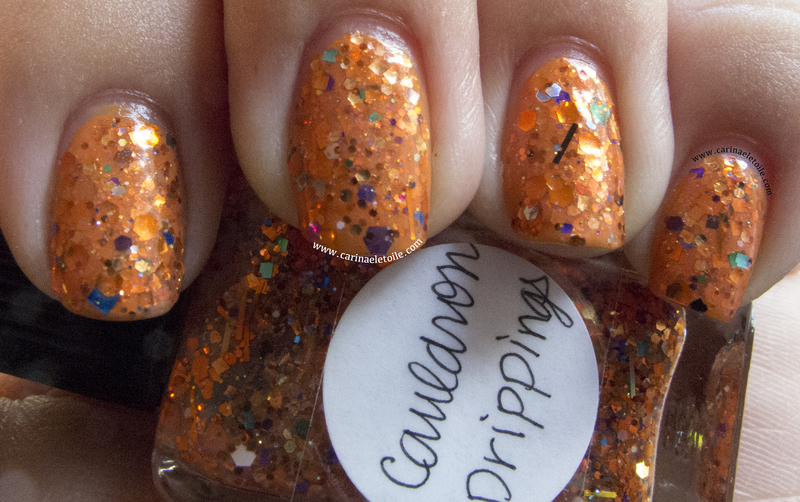 What do you think of Lynnderella Cauldron Drippings? Thanks for stopping by – please click Like at the bottom if you liked what you read. 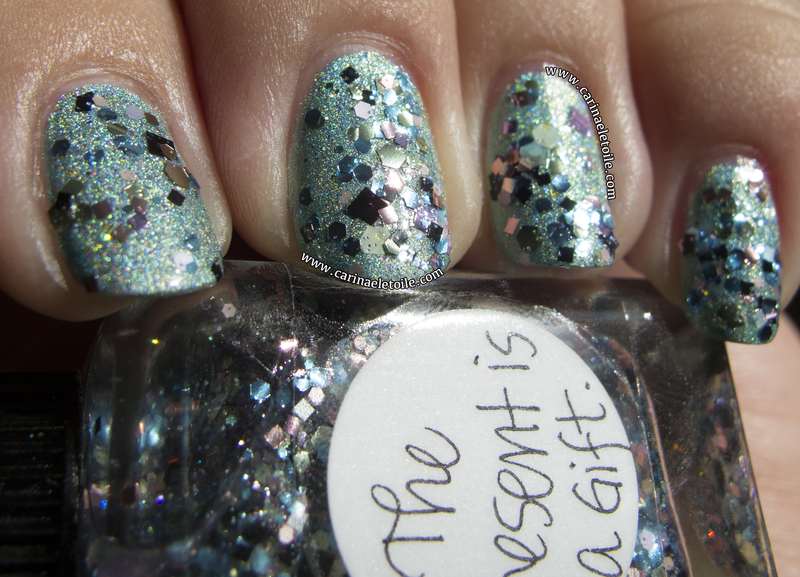 Dig the name, <3 the color!